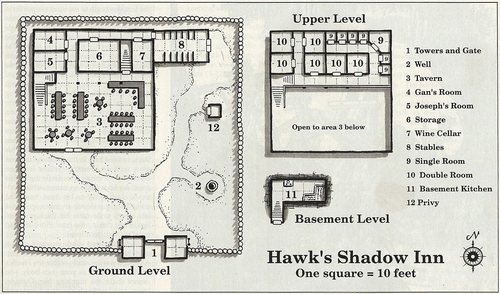 The Hawk's Shadow Inn is only about a year old. It was build by Gan Tenook and Joseph Gizelli after a short life of adventure with the treasure that they accumulated. It's about a days travel west of Ashababenford and is a popular rest stop for those traveling towards Tilverton. Gan is an excellent chef and cooking is his passion. 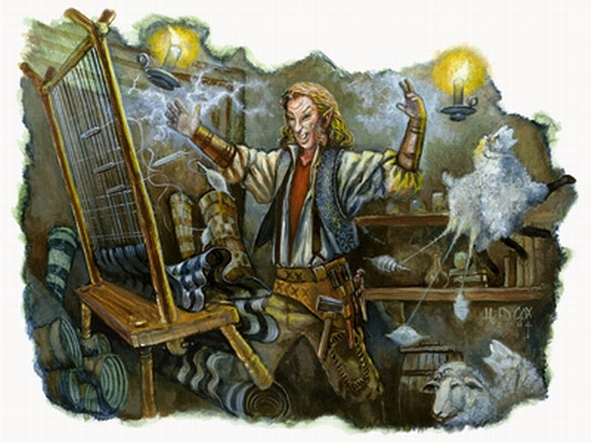 He has a secret receipe for Tage mustard that is well known thoughout Misteldale for it's ability to knock out a horse and periodically contests are held to see who can keep on their feet the longest.